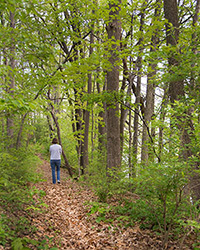 Quickly becoming the most popular mountain bike/hiking trail in Indiana, this approximately 10-mile, single-track loop circles the Park property and offers a challenging track for hikers and riders. Please exercise caution and know your limitations as this trail will be difficult for beginners and first-time riders. Trail closes at dark. Mountain bikers travel in a counter-clockwise direction, and helmets are required. Hikers may travel in either direction. When hiking the bike trail, pay attention to mile markers and numbered bridges in case of emergency. Hikers and bikers, please be aware of each other as you are sharing the trail. The trail is closed to mountain bikers at dark and overly wet conditions. Please call the park at 765-987-1232 to ensure the trail is open. Hiking is permitted anywhere in the Park. 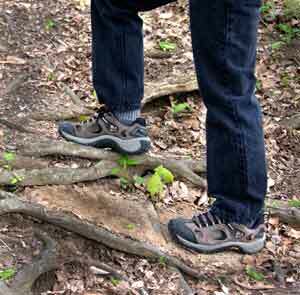 Several established trails exist offering easy to moderate hiking. Please park in the parking lots provided. 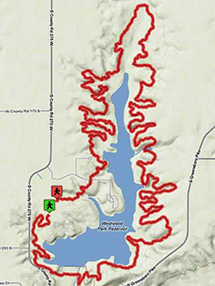 Marked trails (see brochure map for locations). Trails close at dark.